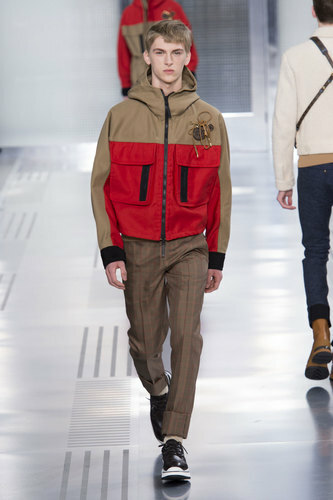 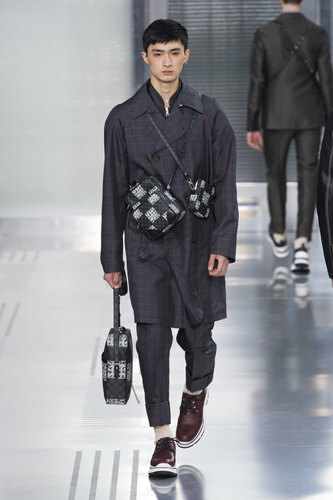 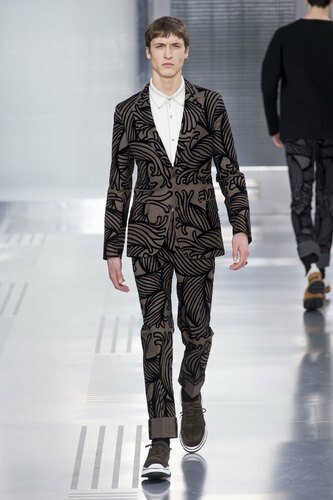 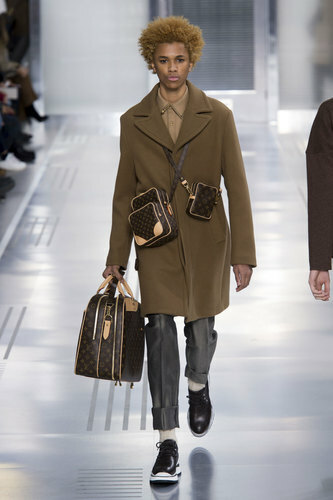 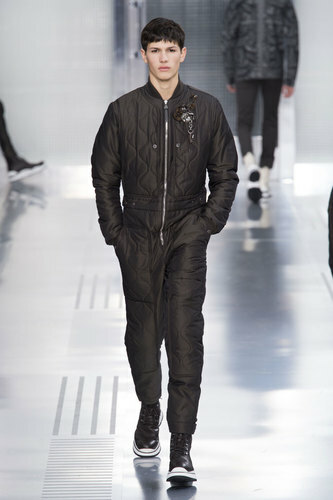 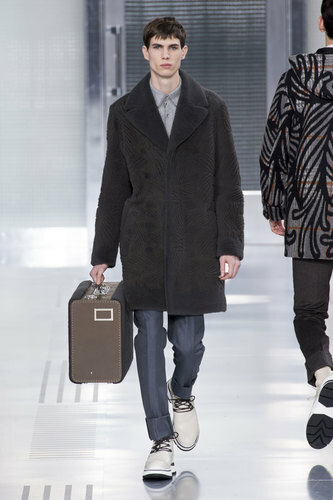 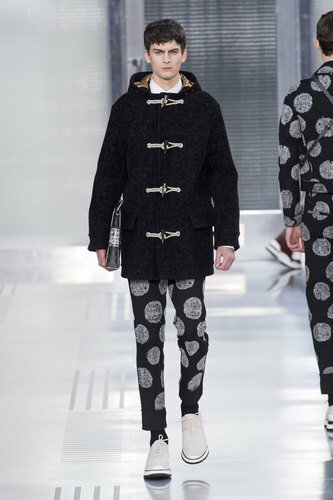 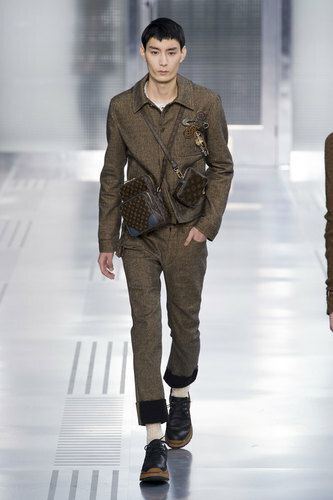 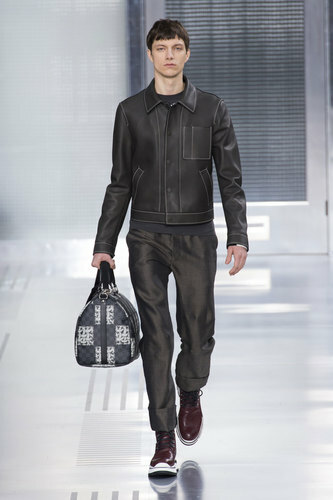 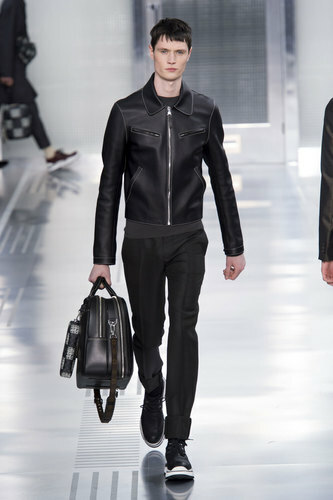 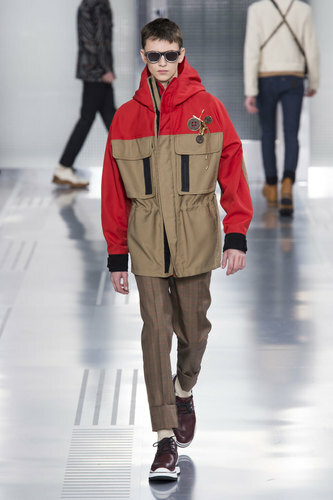 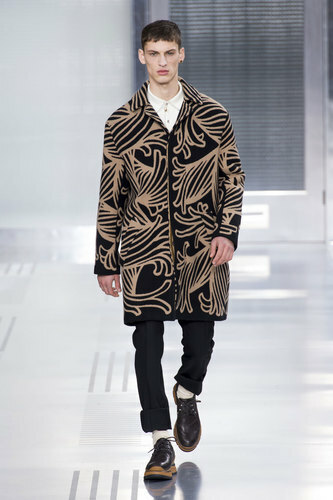 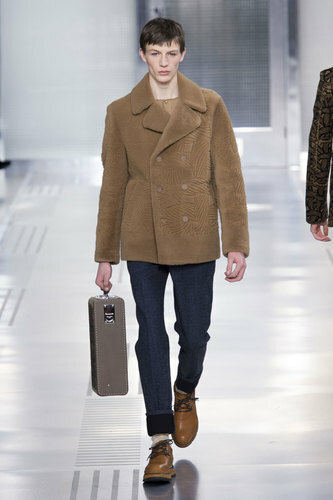 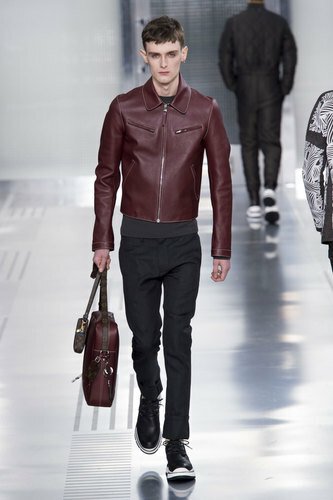 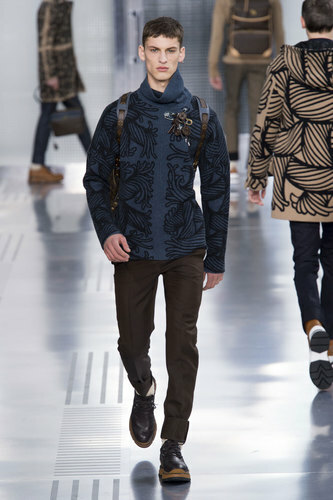 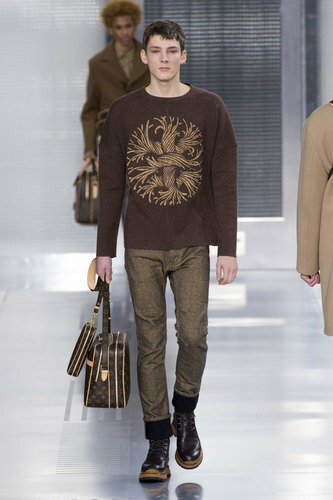 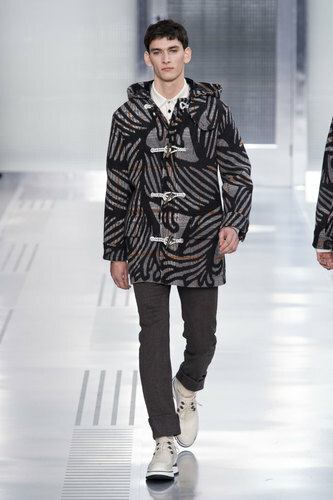 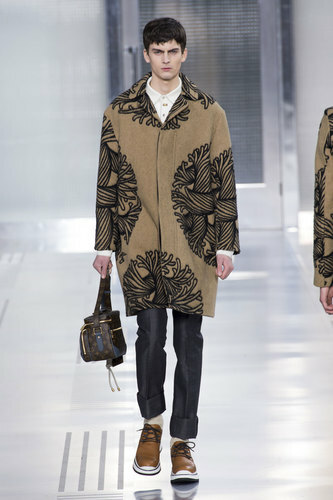 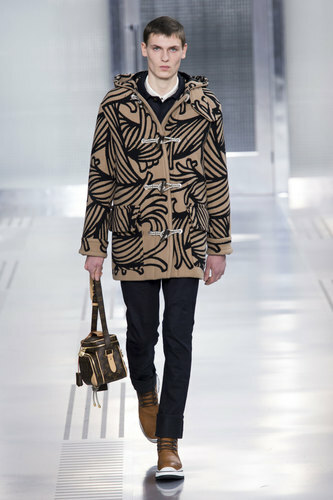 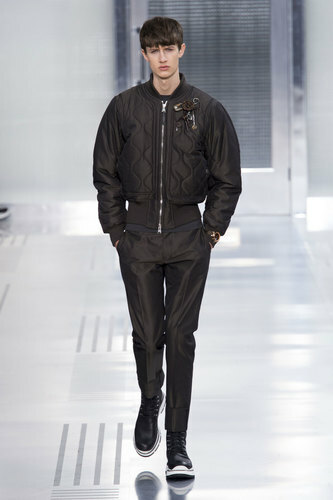 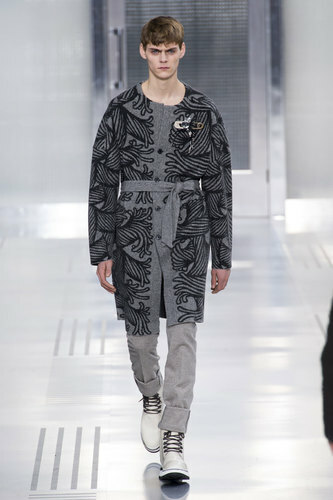 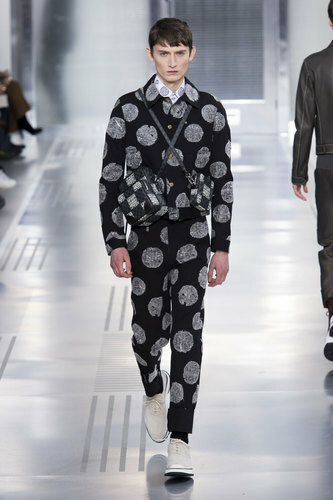 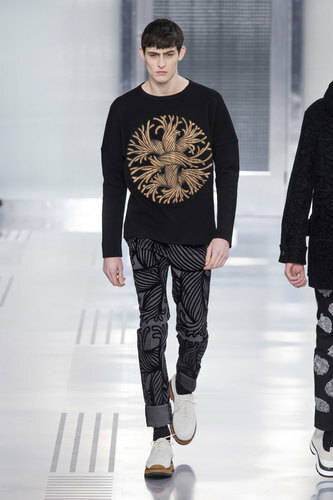 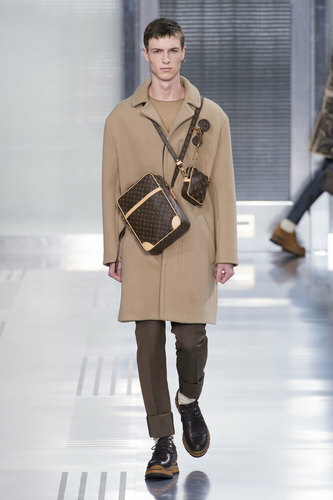 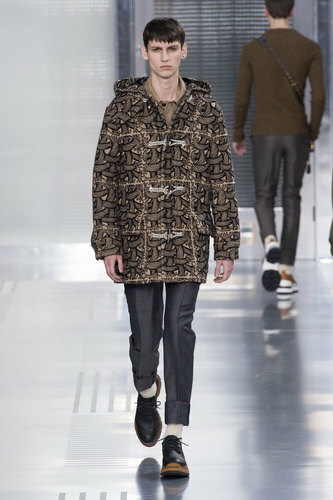 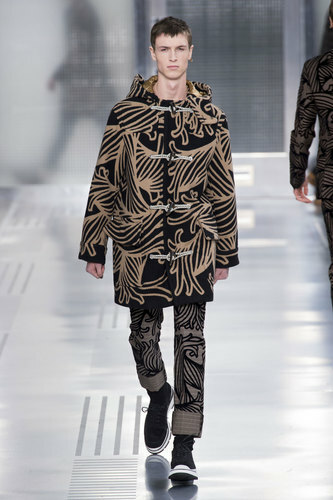 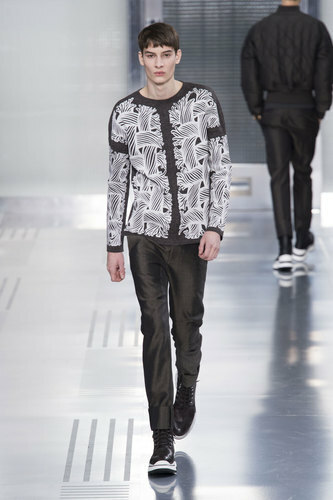 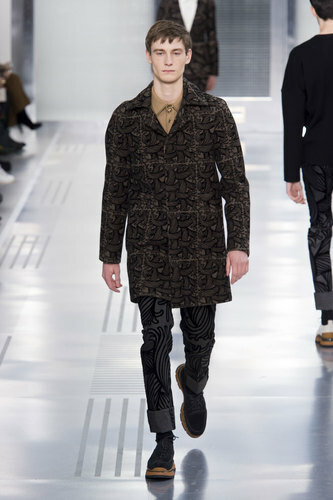 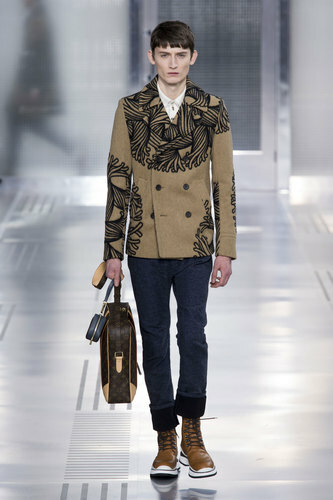 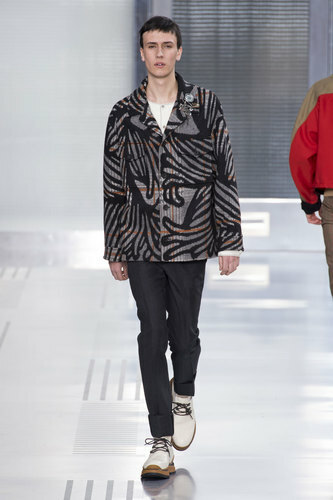 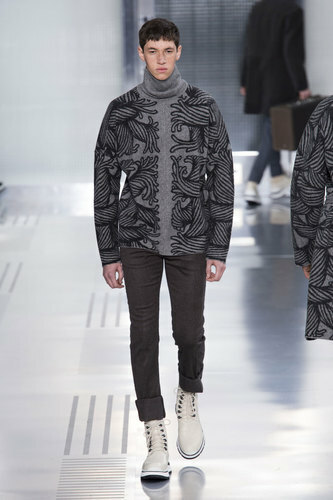 Louis Vuitton Man Autumn-Winter 2015-16 – Louis Vuitton’s stunning line oozes class and sophistication with a regimented lookook of style. 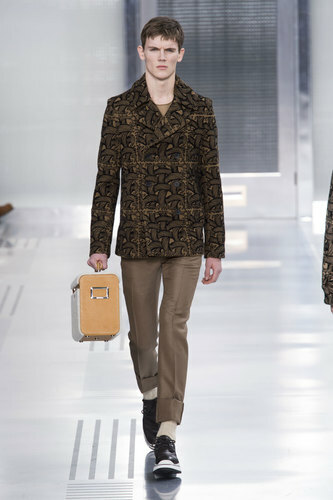 The most eye-catching feature of the line-up is the stunning blazer; the strong accent of the beige with black detailing acts as a centerpiece for the rest of the look. 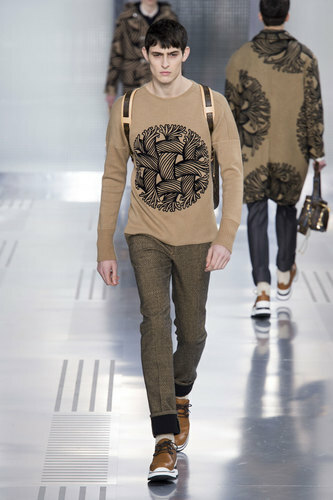 The detailing depicts the fine detail of thread in fabric. 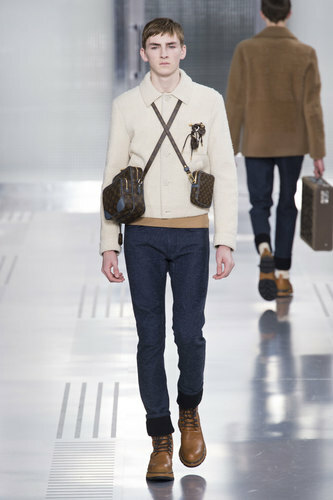 Crisp, white, high-collared shirts act as a foundation to build the rest of the outfit on. 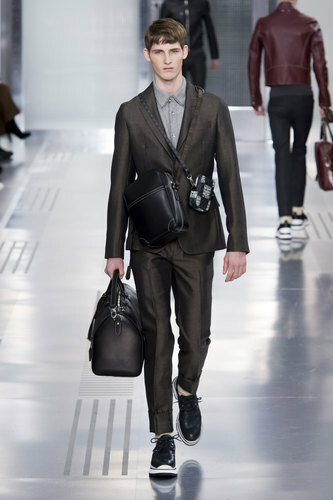 Tailored trousers, rolled up at the ankle suits the modern man, whilst being teamed with smart brogues combines the two. 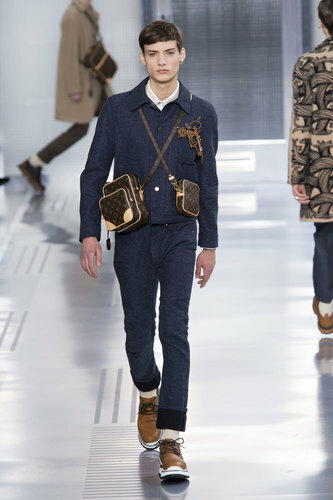 A Louis Vuitton runway show would not be complete without the outfits being accessorized with the infamous Louis Vuitton bag. 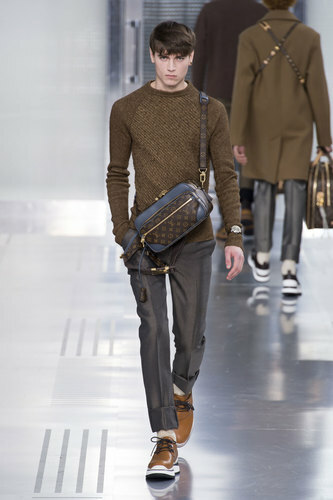 A selection for men has been introduced in the forms of a clutch, shoulder bag, hip-bag and tote; all colour coordinated with the beige and blue. 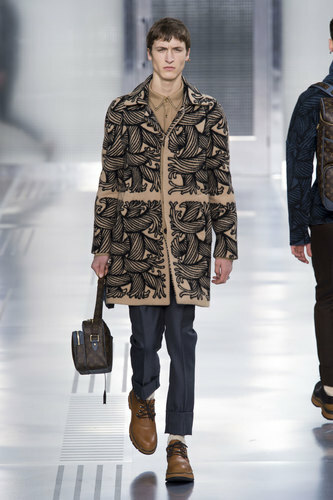 Mix large prints with small and blend similar colours together for a total look but don’t be afraid to investigate the feminine accents in colours and themes.